This project focused on representing a place in my community. 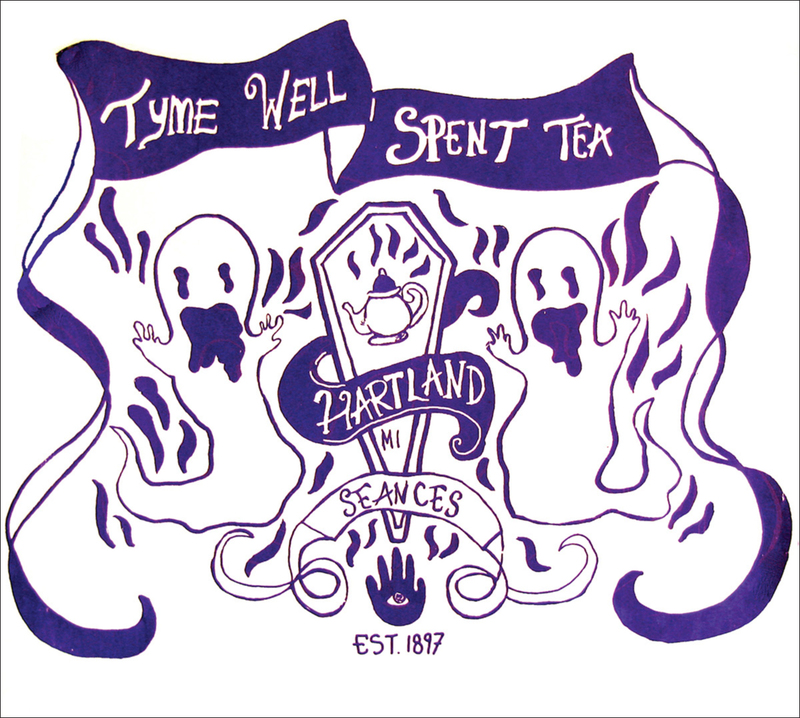 Living in Hartland, Michigan, we have an old haunted tea house which has become an interesting spot due to the seances they hold there. 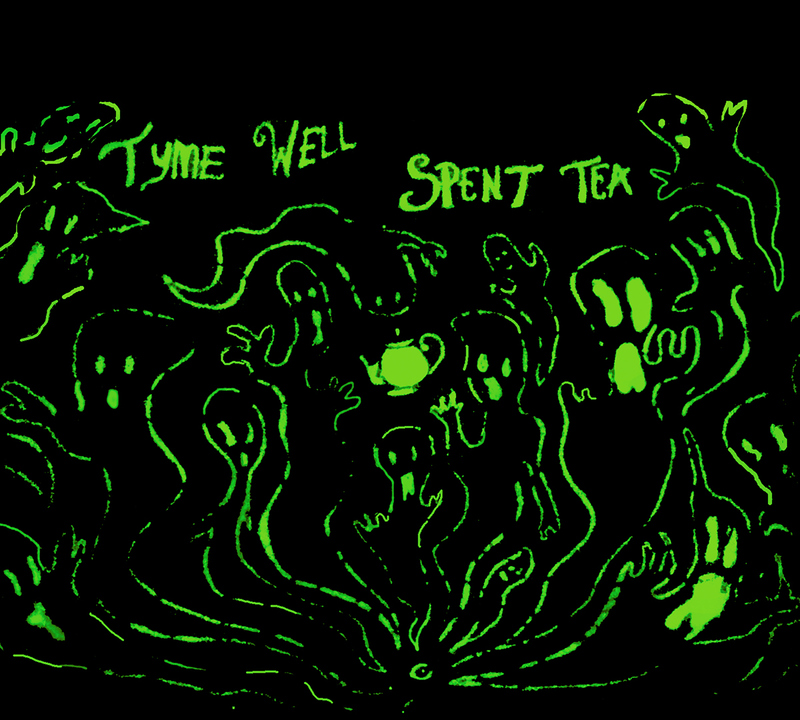 This is a hand drawn single color screen print which glows in the dark. This place is kind of a “hidden” gem in the community, so making the poster glow and giving the audience a hidden treat to discover with the poster paid homage to that.